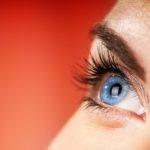 Eyelids protect your eyes from approaching objects and irritating particles in the air. When you blink, your eyelids help to remove foreign objects and distribute tears which lubricate your eyes. Two common conditions that affect your eyelids are chalazia and styes. Blepharitis is an inflammation of the eyelid around the eyelash area. Causes of blepharitis range from a bacterial infection, lice, pollens, hairspray, cat fur, and irritants such as cosmetics or cigarette smoke and or to abnormal fat production in the eyelids. Symptoms of blepharitis include dandruff-like flaking, crusty layer of dried discharge, swelling and puffiness, redness (bloodshot eyes and eyelids), irritation (discomfort), burning, and grainy/coarse sensation under the eyelid (foreign body sensation). The margins of the lid become red and sore and small particles of dandruff may be seen at the base of the eyelashes. Constant rubbing may lead to watering and further irritation. A topical antibiotic and/or a reduced-strength corticosteroid can effectively treat most cases of blepharitis. Good hygiene practices such as frequent cleansing of the eyelids with a clean washcloth, warm water and, in some cases, mild soap (baby no tears formula) can prevent the build-up of bacteria and remove the crusty discharge. Hypoallergenic sterile lid cleansers can be purchased in the eye care section of your pharmacy or drug store. Your doctor may prescribe a more powerful lid scrub if simple cleansing does not help. Coating the eyelashes with petroleum ointment to suffocate the larvae can treat blepharitis that is caused by lice. 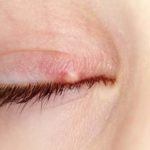 Ineffective treatment or lack of treatment for blepharitis may lead to the development of an abscess within the eye called a stye, or a firm nodule called a chalazion. Both can be uncomfortable and hard to treat. Blepharitis is a disorder that often recurs and needs repeated treatment. A chalazion (also called a meibomian cyst) results from a blockage of one or more of the small oil-producing glands (meibomian glands) that are found in the upper and lower eyelids. These blockages trap the oil produced by the glands and cause a lump on the eyelid that is usually about the size of a pea. These are usually relatively painless. If the chalazion becomes infected, the eyelid can become swollen, inflamed and more painful. A chalazion may be treated by applying hot compresses; and or antibiotic eye drops. In some cases, steroid drugs may be injected into or adjacent to the site of the chalazion. A chalazion may also be treated by surgical incision and drainage when necessary. Styes are often confused with chalazia. Styes are infections or abscesses of an eyelid gland near an eyelash root or follicle. They generally occur nearer to the edge, or margin of the eyelid than do chalazia, where they form a red, sore lump similar to a boil or a pimple. Styes may also be treated with hot compresses. Frequently, antibiotic and or steroid eye drops or ointments may be needed. Chalazia and styes most often respond well to treatment. If left untreated, however, they can be uncomfortable, unattractive and can lead to other problems. Occasionally, chalazia and styes recur. 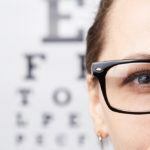 If this happens too frequently, your eye doctor may recommend additional tests to determine if other health problems may be contributing to their development. In early stages, it develops as a sudden rash or eyelid swelling accompanied by a clear teary discharge. Crusting of the skin may develop if a secondary infection, such as conjunctivitis, arises. The most common causes of contact dermatitis are eye drops and cosmetics, including nail polish. If you suspect you have this condition, avoid the offending agent, apply a cool compress and call your doctor. Conjunctivitis is an inflammation of a mucous membrane and therefore in most types, there is a red eye, thickening of the conjunctival tissue and some discharge of mucous or mucous and inflammatory cells. Eyes look red and bloodshot. Infection is generally in both eyes with the patient experiencing discomfort in the form of a “smarting” and grittiness, moderate photophobia, but minimal pain. Discharge from the infection causes the well known symptoms of eyelids stuck together on wakening or having a “crusty” appearance. The causes of conjunctivitis include; bacterial infection, viral infection and allergic reactions. Viral conjunctivitis (pink eye) is extremely contagious. Avoid touching eyes with your hands, wash hands frequently, do not share towels, and avoid work, school or daycare activities for at least five days or as long as the discharge is present. If you suspect you or your child has conjunctivitis, see your eye doctor immediately. Herpes simplex virus is usually responsible for corneal infections. The same virus also causes cold sores around the mouth. Both the infections are very contagious. If you have a cold sore, do not touch your eyes right after touching your mouth. If you suspect you may have an eye infection see your doctor immediately. An ulcer on the cornea causes pain and discomfort in the eye and may make the white of the eye turn pink or red. In addition, you may be able to see the ulcer as a whitish patch and your vision in that eye may be misted over or otherwise impaired. This condition needs immediate attention. Corneal ulcers are more common with extended wear contact lenses. Anterior uveitis is an inflammation of the middle layer of the eye, which includes the iris and adjacent tissue. Anterior uveitis can occur as a result of trauma to the eye, such as a blow or foreign body penetrating the eye. 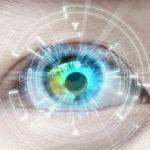 It can also be a complication of other eye diseases, or it may be caused by general health problems such as rheumatoid arthritis, ankylosing spondylitis, juvenile arthritis, rubella, and mumps etc. In many cases, there is no obvious underlying cause. Symptoms may include a red, painful and inflamed eye, blurring of vision, sensitivity to light and a small, fixed pupil. Since the symptoms of anterior uveitis are similar to those of other eye diseases, your ophthalmologist will carefully examine the inside of your eye under bright light and high magnification, to determine the presence and severity of the serious eye conditions. Usually, eye drops that dilate the pupils and anti-inflammatory drugs are prescribed. Treatment usually takes several days, or up to a few weeks, in some cases. It is important that treatment is given at an early stage in the condition. Anterior uveitis usually responds well to treatment, however, there may be a tendency for the condition to recur. 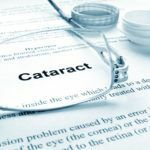 If untreated, it can affect adjacent eye tissues causing swelling, scarring, and development of glaucoma, cataracts, or retinal edema, which can lead to loss of vision. Continuous watering of the eye may be caused by entropion, or by a blockage in the tear ducts that drain tears from the eye into the nose. Blockage of the tear duct can lead to infection of the lacrimal sac. This causes a red and painful swelling of the skin beside the nose. Watering of the eye due to blockage is an uncommon problem. Dry eye may cause secondary tear secretion which leads to excess tearing. If you have any problems with your eyes, call toll free at 510-431-5511 (Union City) to schedule an appointment at NeoVision Eye Center. “My first enjoyable eye exam! Dr. Tandon is very professional but warm and understanding. She explains thoroughly and makes you feel comfortable.” Barbara Olson, R.N.